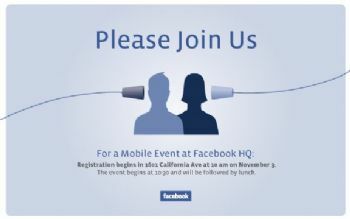 What will Facebook announce at their 10:30 media event today? Some are speculating that it could be the long-rumored Facebook Phone (even though Facebook chief Mark Zuckerberg has denied the rumor in the past). Other possibilities are deeper integration into other manufacturers' phones or development of more Facebook mobile apps.